I love stuffing especially with gravy. 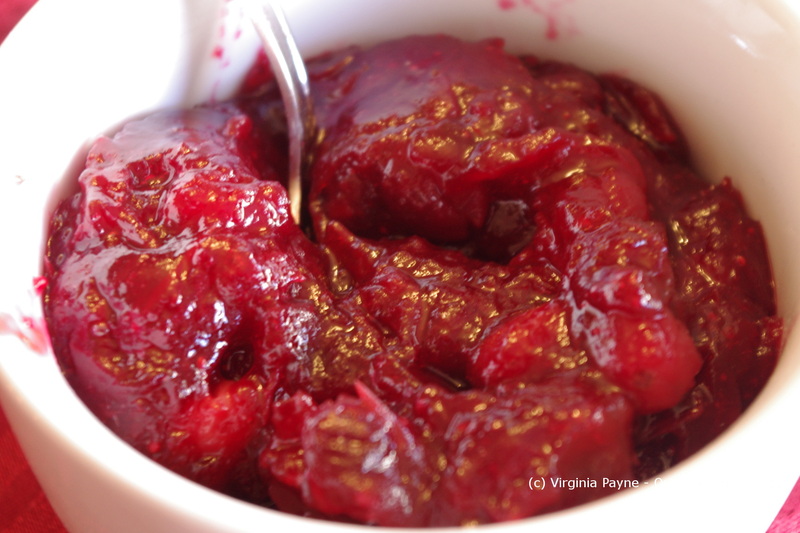 To me it is great comfort food that is dressed up for the holidays. 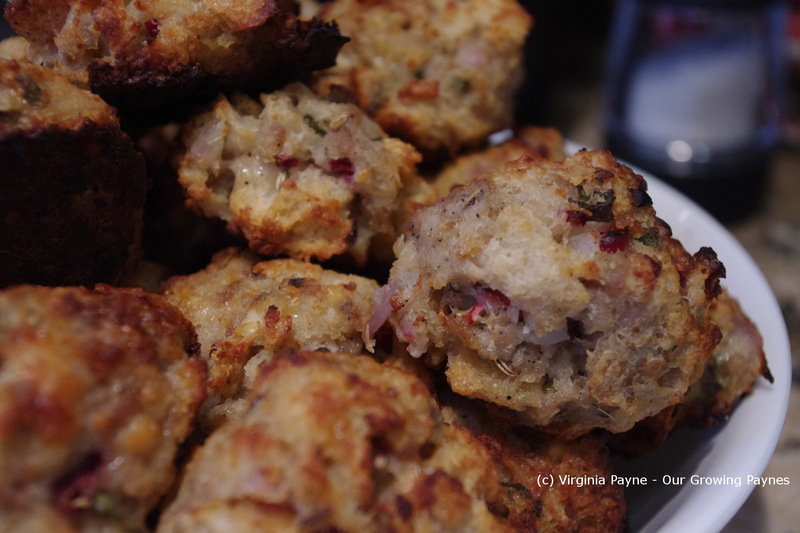 I generally make this stuffing for Thanksgiving but when we were back in the UK my MIL did up a lovely roast pork with stuffing balls. If I was smart I would have asked for the recipe. I wasn’t. 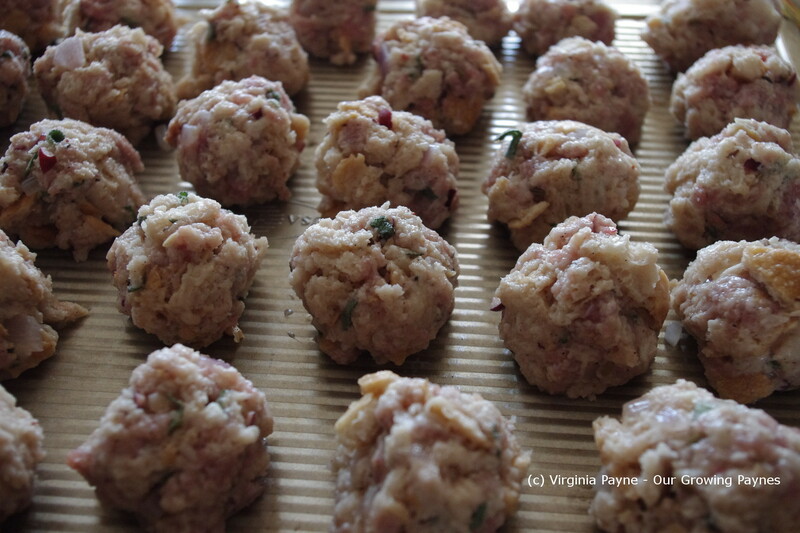 However, I figured I could adjust my usual stuffing, add an ingredient, and make them into balls. 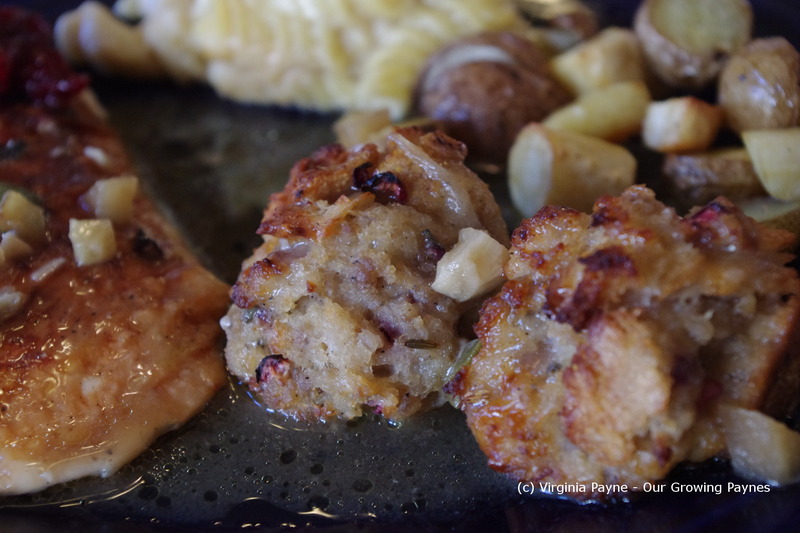 I think they are great because the best part of stuffing is the browned edges with a bit of crispy to it. Now everyone gets it with their stuffing. It’s important to plan ahead somewhat for this dish as the bread needs to be stale. 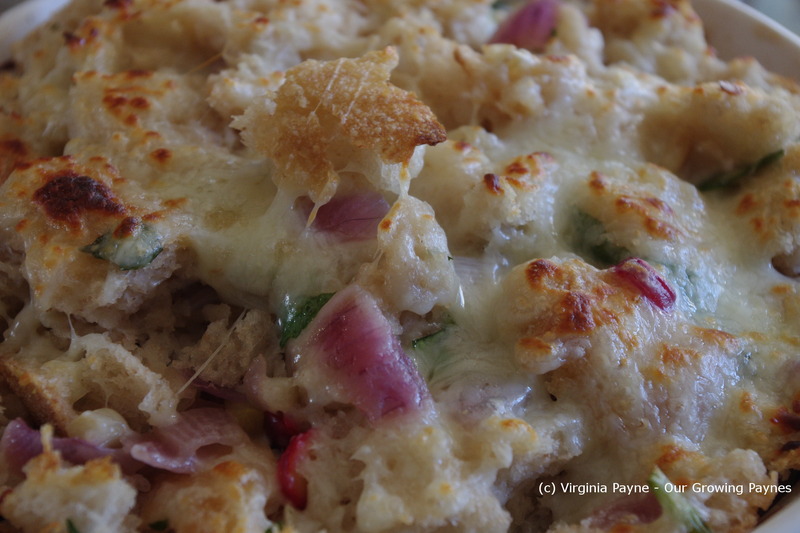 I usually get a sourdough boule and break it up a day or two before making this. Leave it out for all the pieces to get a bit hard. Because these will make the balls the pieces need to be somewhat small. I baked these at about 350F/175C. Because we had so many things going on in the oven this seemed the average temp. These can be baked at a higher temp, just keep an eye on them. 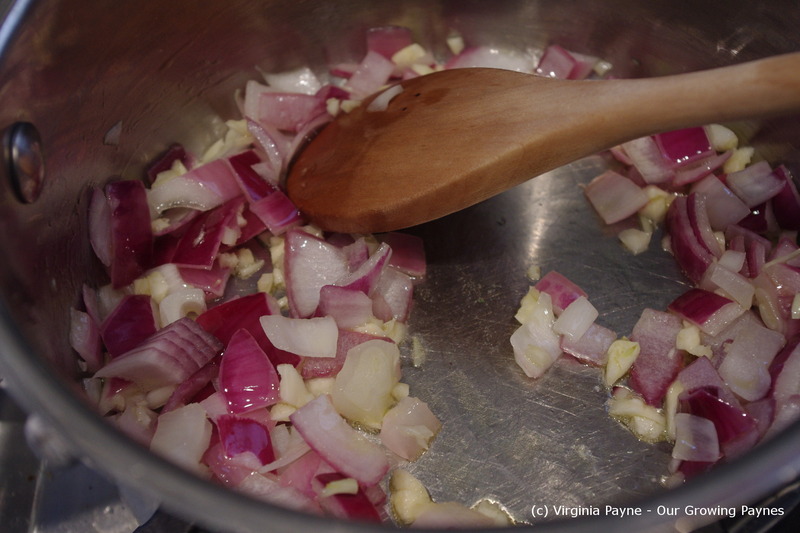 Chop up about a half an onion finely and a few cloves of garlic. Saute them in olive oil until softened. 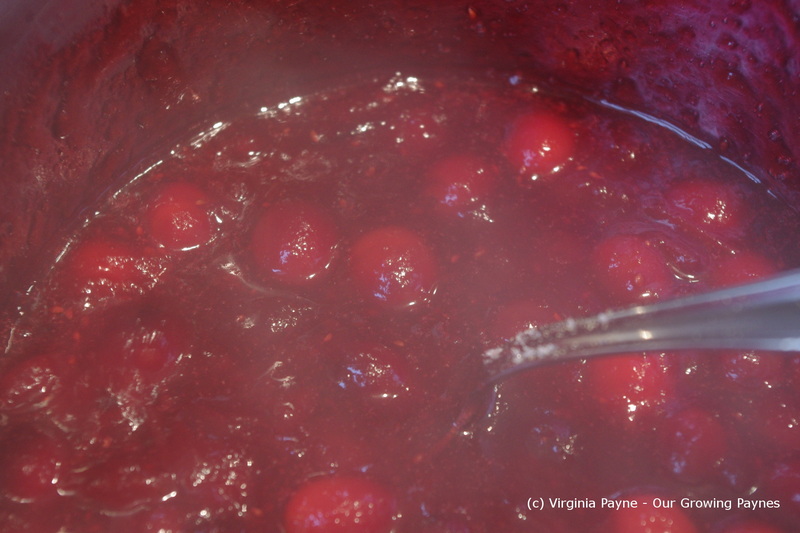 Add two cups of veg bouillon and simmer for about 10 minutes. 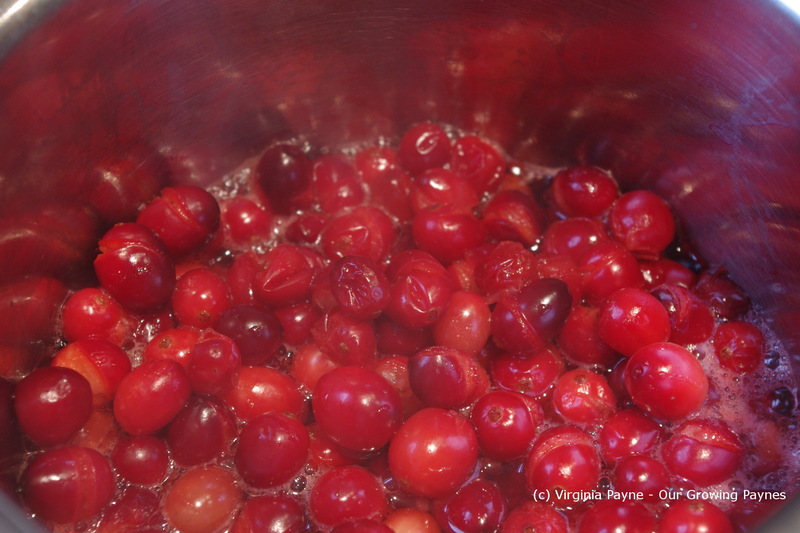 While this is cooking chop about a cup of cranberries and several fresh sage leaves. 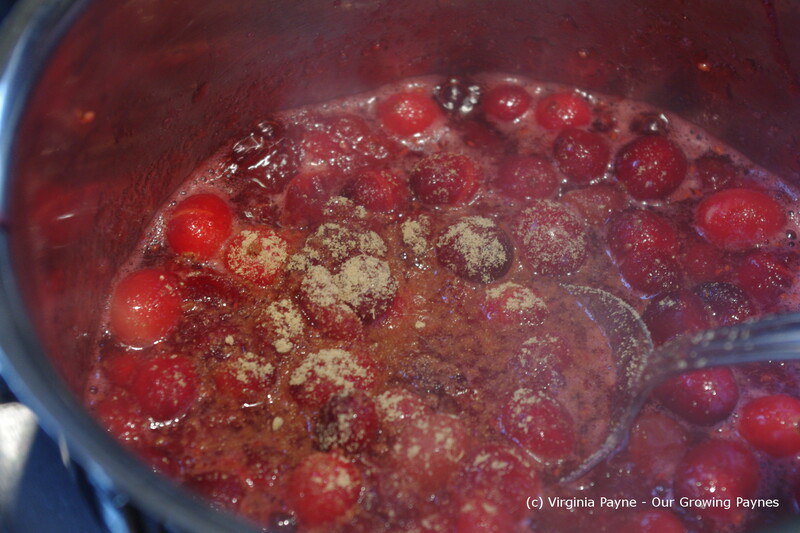 Mix the cranberries and sage in with the bread and then work in about a pound of sausage of your choice. I chose mild Italian sausage for this. 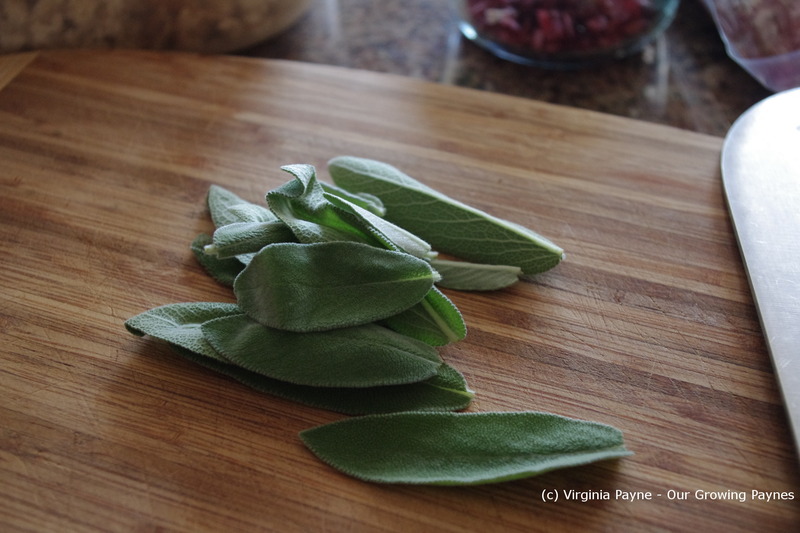 I didn’t want any flavours overpowering the sourdough or the sage. Now here comes the messy part. Just take off your rings and roll up your sleeves! Pour in the broth with the onions and garlic and mix well. 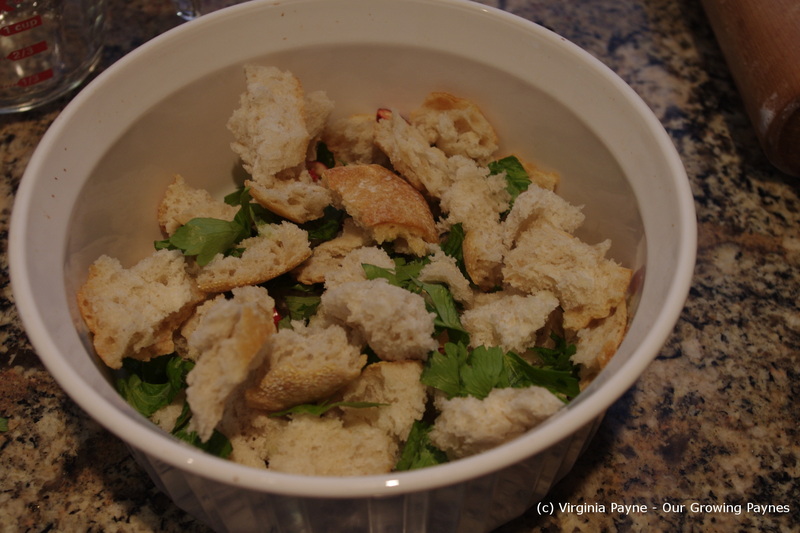 Take a few minutes to do this so you don’t have any dry bread bits. 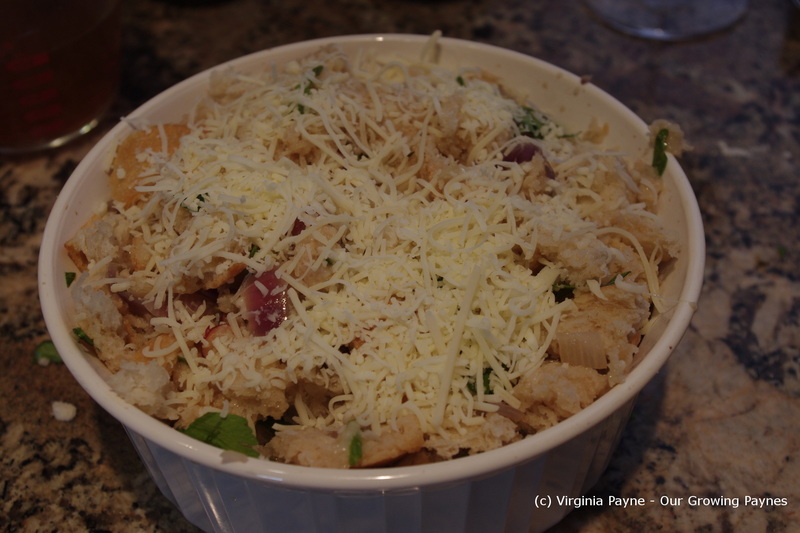 Add about a cup of shredded Italian cheeses and mix thoroughly. Form into balls and place onto a cookie sheet. As these won’t spread while baking you can keep them somewhat close to each other. This recipe makes a lot of balls. I baked these about 20 minutes or so. Once they are golden brown check one to make sure it is cooked through. These could easily be made vegetarian. Just remove the sausage. 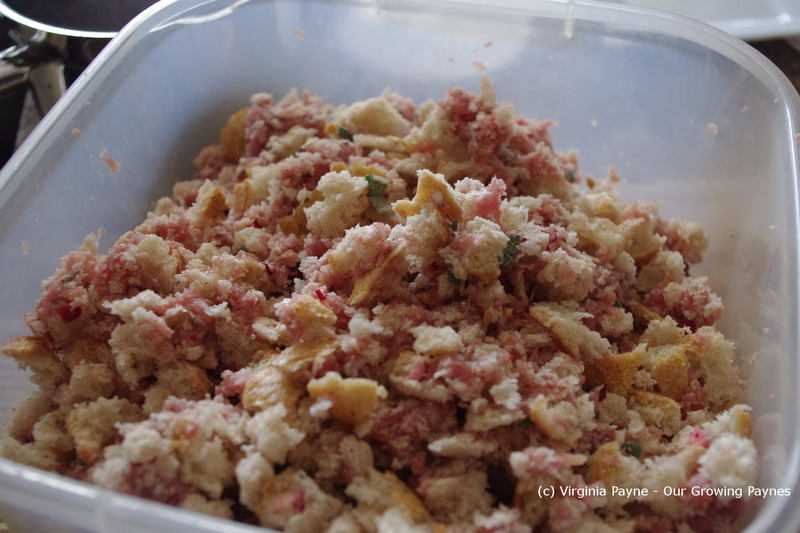 Though I have to say this is the first time I used meat in stuffing and it worked really well with the sourdough. It also paired well with the apple sage gravy I made to go with the turkey. 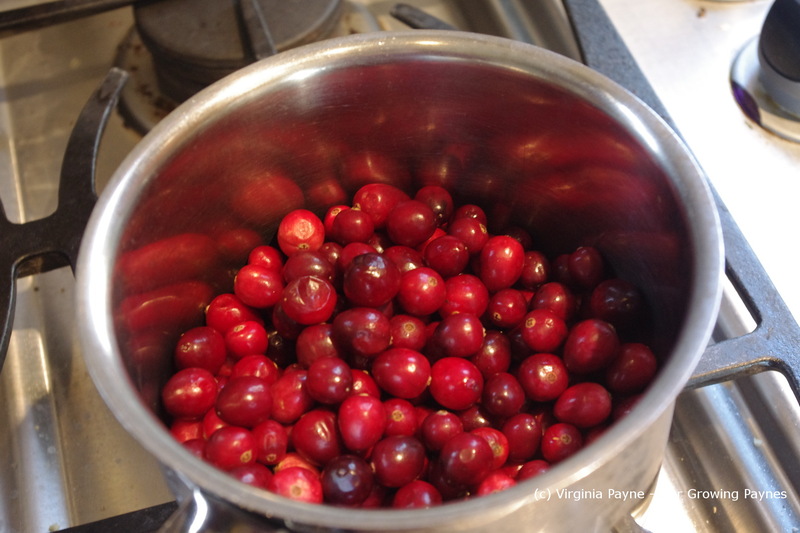 I use a small saucepan and add about 1 1/2 – 2 cups of cranberries whole. 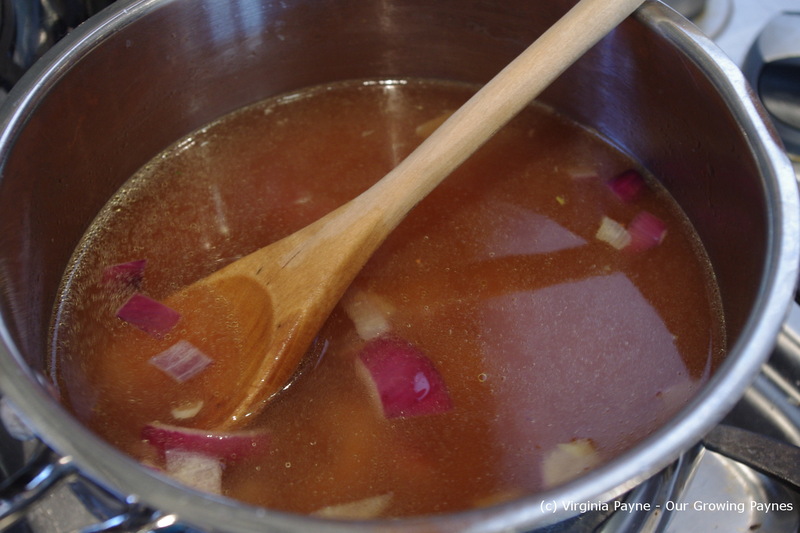 Add a bit more than 1/2 cup of water and get it simmering. 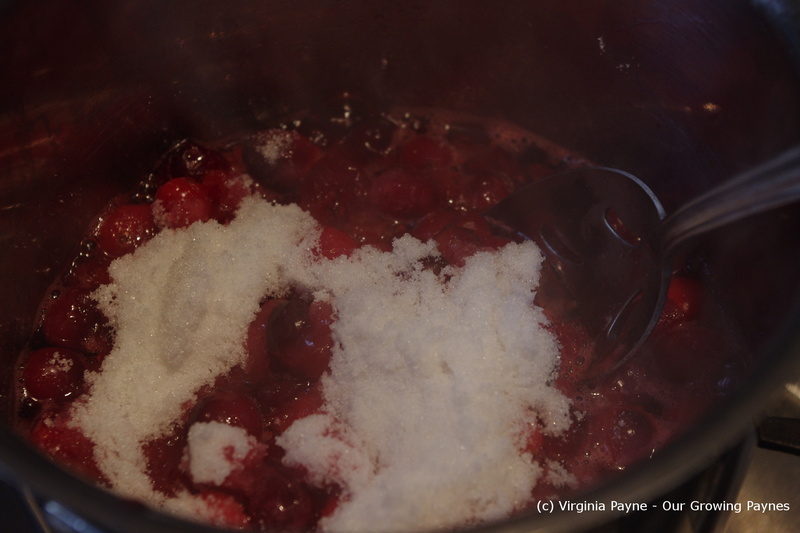 Once the cranberries start splitting and softening start with about 1/2 cup of sugar. What I do is add a bit at a time starting with the 1/2 cup. 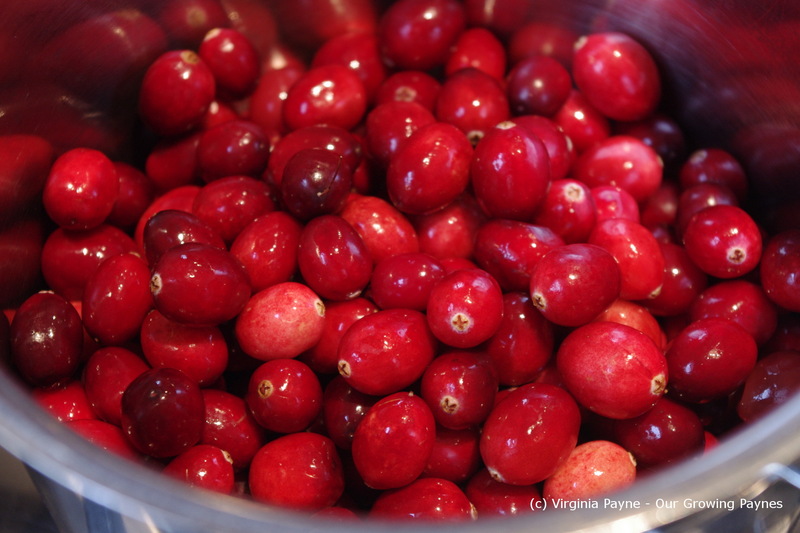 I know some of my family love the tartness of the cranberries so I don’t want to oversweeten it. If it were for me I would had a ton of sugar to this! 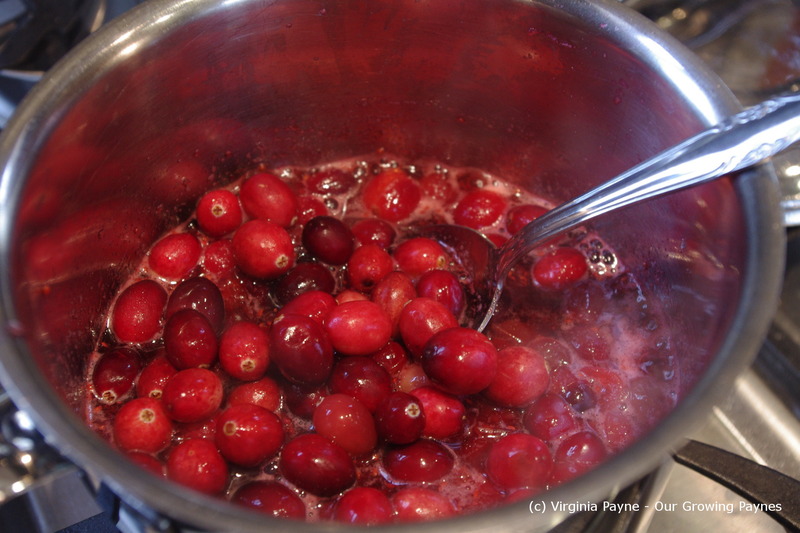 Once the sugar is dissolved I add a handful more cranberries so the texture of the sauce is more rustic. 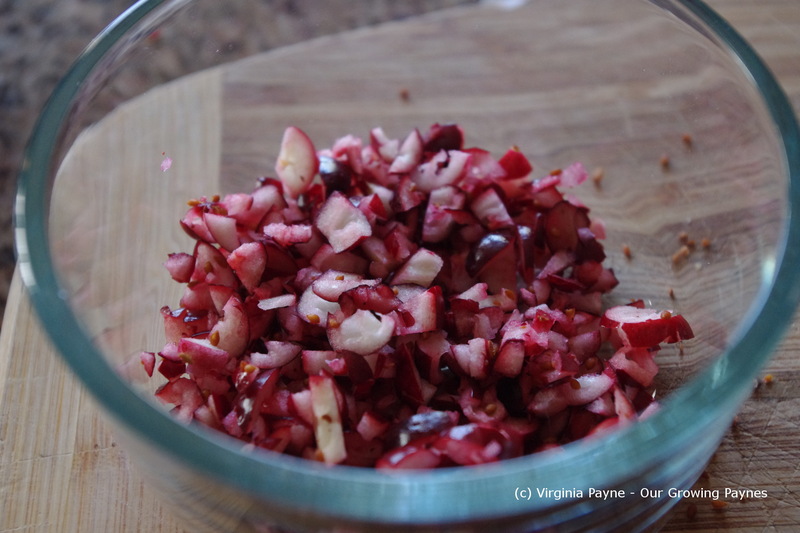 Next I add some ground ginger. Normally I add about 1/2 cup of orange juice but I didn’t have any so I added a bit of lemon juice. It wasn’t bad but orange juice is a better choice. 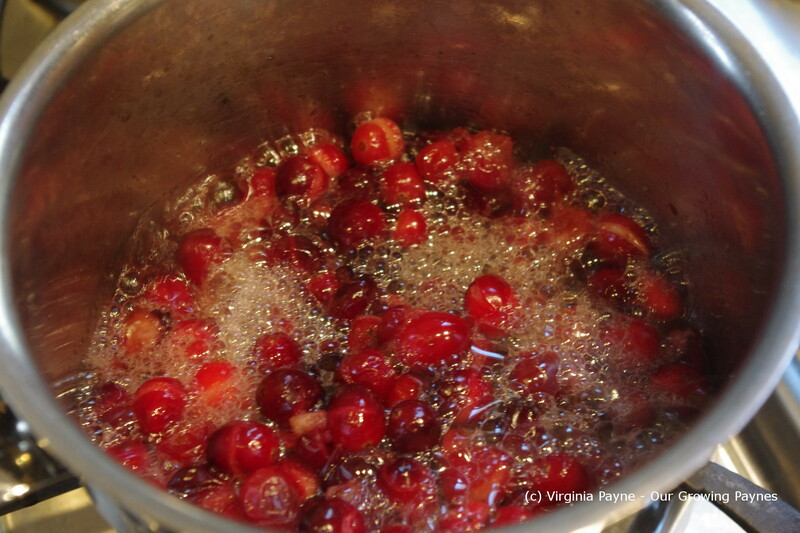 Simmer until everything is dissolved and the cranberries are softened. Remove from heat and let cool. It will thicken as it cools. I made this the day before and it took less than 1/2 an hour to do. It really is easy. And not only does it taste good, it isn’t a weird shape! It is important to start the day before with the bread. I bought a Sourdough Boule ( I know I didn’t bake it, but this is a huge time saver with all the cooking we have to do!) and it gets torn up the day before to turn it a bit stale. This allows the absorbing of the broth without making it super soggy. 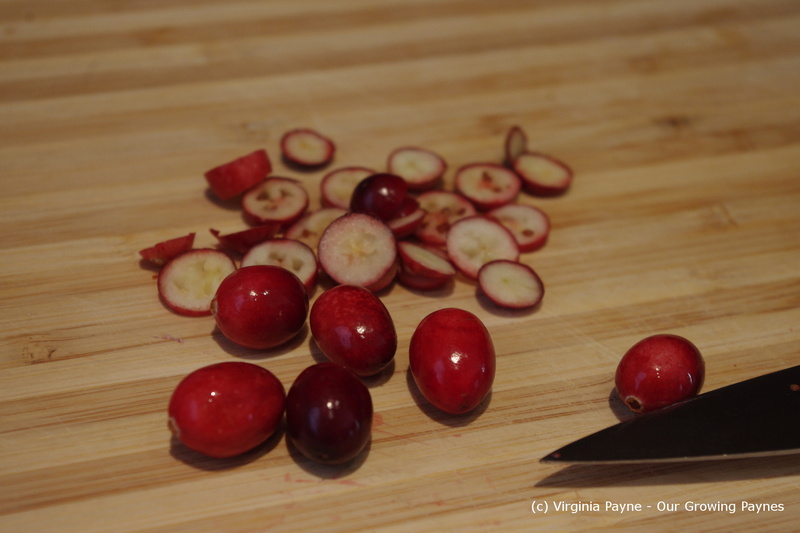 On the day of I slice up some cranberries and celery leaves. 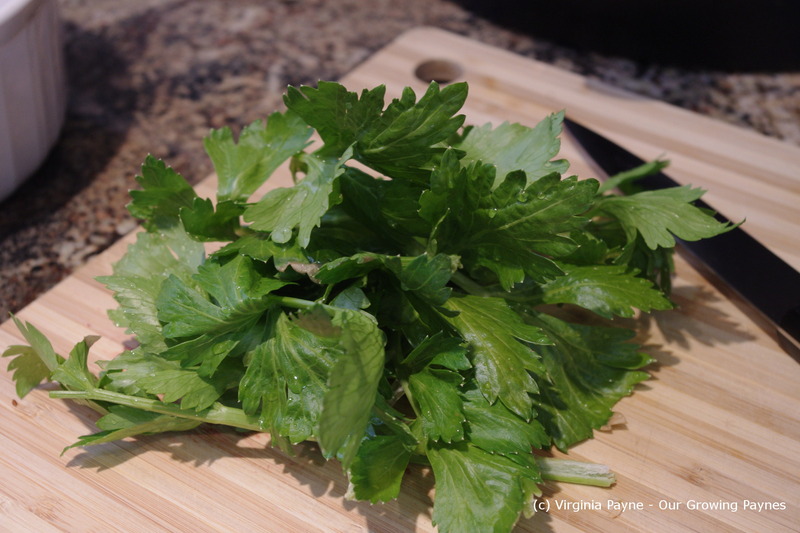 I usually use celery but right now all I have left in the garden is a few small stalks and a ton of leaves. I’m amazed I have that! 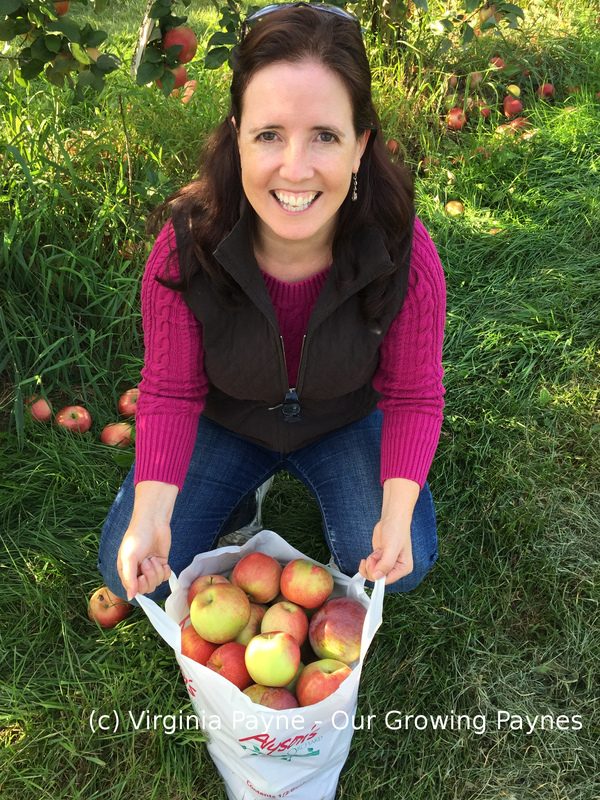 Turns out the leaves are a better choice for colour and flavour. 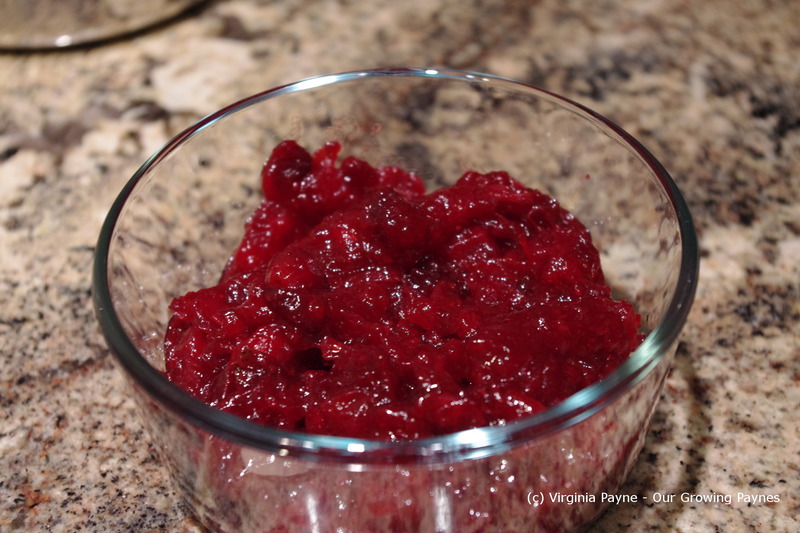 I toss the cranberry and the celery into the bread and set aside. 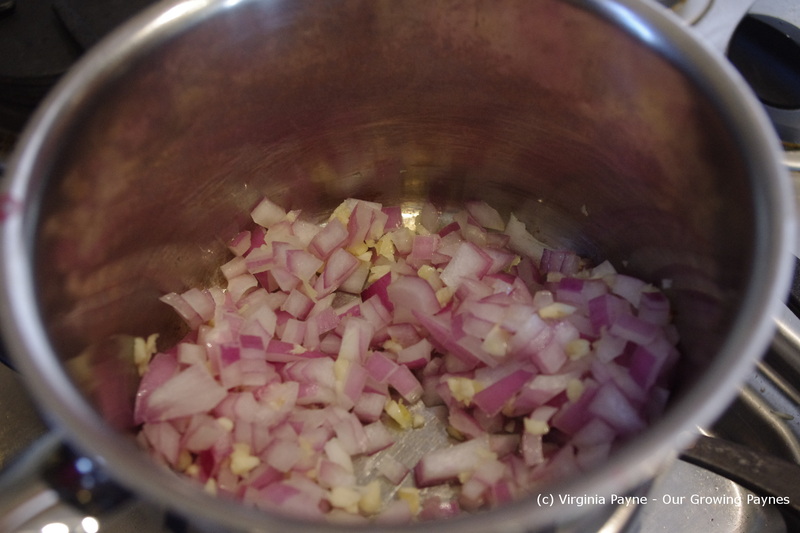 Next I chop up some garlic and onions and saute in olive oil. Once the onions have softened a bit then I add about 4 cups of veg broth. Several of my family members are vegetarian so it is important that all the sides are vegetarian so they can eat. 🙂 Bring the broth mixture to a boil then simmer for a bit. Now it is time to put it all together. 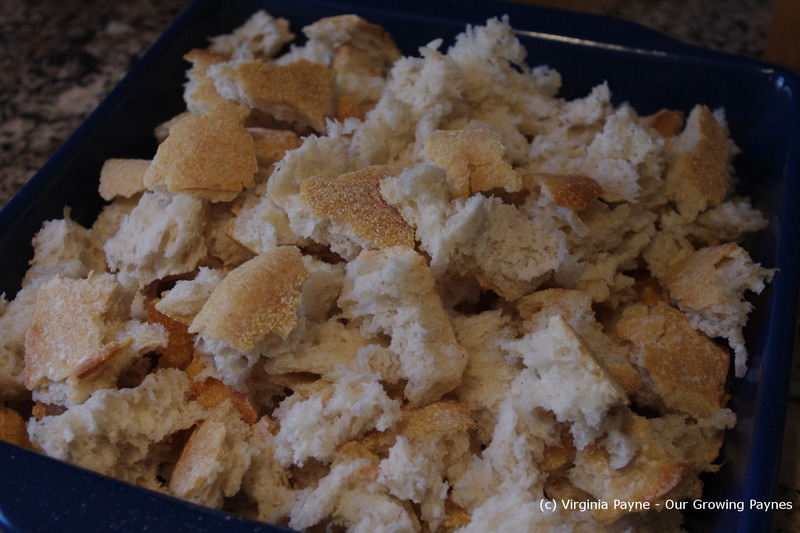 Add a bit of the bread mixture to the baking pan and then add a bit of broth. It’s important not to add the broth all at once otherwise you will have really soggy spots. At this point I also add in shredded Italian cheeses. I usually get the 4-6 cheese variety. 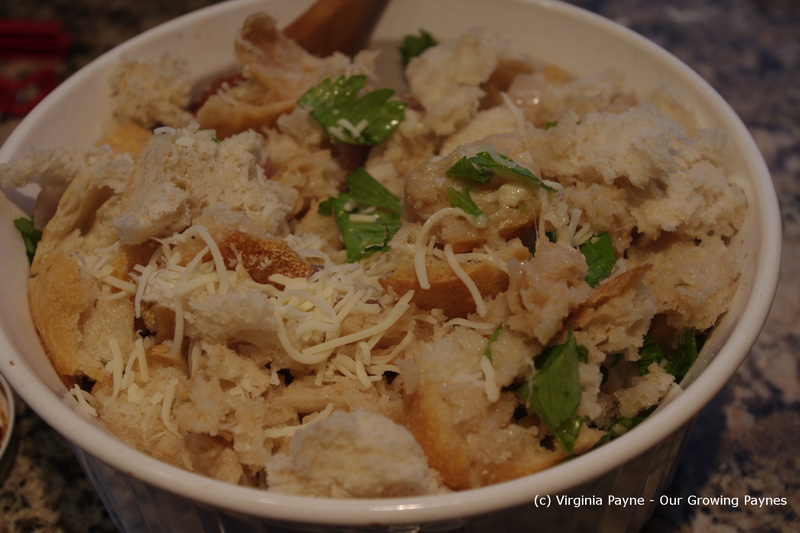 Make sure you have plenty of bread as it will shrink down as you add the broth. Once it is filled up I top with cheese. We had an oven already heated at 350 F so I covered the stuffing and baked for about 15 minutes, then I uncovered it until it browned on the top a bit.